My dad is a viticulture professor at UC Davis, and really passionate about his job. So, growing up, I did a lot of manual labor in his research vineyard. 1999 Robert Mondavi Reserve Cabernet. 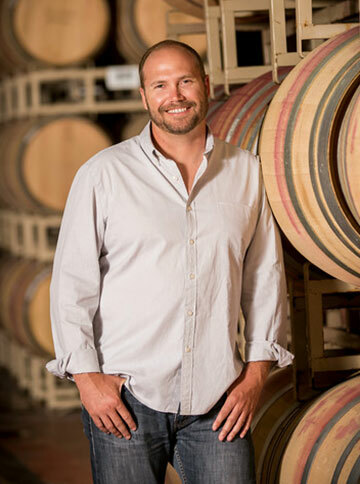 Mike Martini was the first Napa Valley vintner I worked with when I moved here in 2006. He has been a great mentor to me. The Martini family’s rich and storied history within the Napa Valley was fascinating to learn and an honor to join when I made small lots at the Louis M. Martini Winery. The most rewarding aspect of my work is to experience my wines as they evolve over time. There are few products in this world that mature like wine. Starting in the vineyard and tasting the grapes, determining extraction during fermentation, the oak for aging, and then tasting it with family and friends long after it has bottled is absolutely fascinating. It reminds me of raising children and watching them grow over the years. I think the diversity in soil and climate of the sub-AVAs – from the mountaintops to the valley floor – are what set Napa apart from other wine regions. When people think of the Napa Valley, the wineries on Highway 29 and Silverado Trail probably come to mind. However, there are many other wineries like William Hill Estate that are tucked away in beautiful parts of the Valley that need to be discovered. Will Ferrell, Chris Farley and Steve Carell. As far as getting into winemaking and grape growing, a degree in Enology and Viticulture is a start. Internships are a great way to gain experience in different wine regions around the world. Lastly, trying as many wines as possible from all over the world is crucial for developing the winemaker’s greatest tool - the palate.